As temperatures begin to fall, many animals will begin preparing to hibernate or migrate until the warmer days finally return. 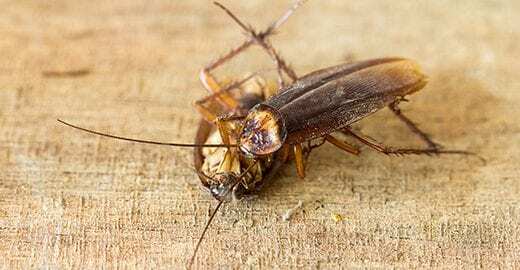 While generally considered a year-round pest, cockroach activity can become alarmingly high during the fall months. 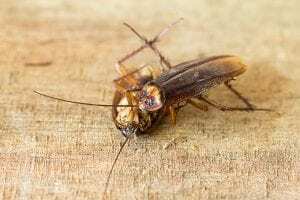 In this blog, we will take a look at the common reason why cockroaches are becoming more active and explain the species you will most likely need to watch for. What Is Drawing Cockroaches Indoors? As moisture begins to accumulate beneath your home or business, it will often serve as a beacon that draws cockroaches in. And while these pests can withstand cold or even sub-zero temperatures, the warmth your home provides more than enough appeal for them to venture inside. Focusing on exclusion and sealing up any entry points that may be available is critical during the fall months. However, if you are already finding cockroaches around your home or business, professional pest control services will likely be needed to eliminate them. What Cockroach Species Are Likely? In most cases, there are 2 distinct cockroach species that you will likely run into throughout the fall months, including the American cockroach and the German cockroach. Because all cockroaches are able to rapidly breed, early detection will avoid the possibility of an infestation. Let’s take a closer look at each of these species. American Cockroach – If you are finding large cockroaches around your home, they likely are American cockroaches. The ideal habitat for this cockroach species is outdoors in woodpiles, trees or decaying logs. To avoid bringing them indoors, carefully inspect your firewood before bringing it inside. German Cockroach – Though they are small, German cockroaches are notoriously difficult to get rid of. Unlike their American counterparts, German cockroaches prefer to be indoors and thrive when they are. German cockroaches prefer to hide in the cracks that are available in your structure. If you see one, there are likely many more hiding. If you are experiencing a cockroach infestation in your home or business, it can often feel like nothing that you try is working. 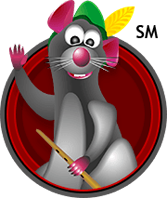 When you partner with The Pied Piper, you are investing in removing the cockroaches in your home or business and keeping new ones from returning. Don’t continue using DIY pest control products that only treat a part of the problem, let us help get rid of the roaches that cause health problems in your home or business with effective cockroach control!